What would you say about a rose that is always in bloom, always the perfect colour red, is never plagued by bugs or beetles and needs zero water? If that sounds good, how about it has no thorns, needs no fertiliser, thrives in full sun or full shade and will never die? It doesn’t get black spot – or any other spot for that matter and it is immune to all diseases. Need a spot of colour in a drab area? Simple, just move the rose for instant colour. 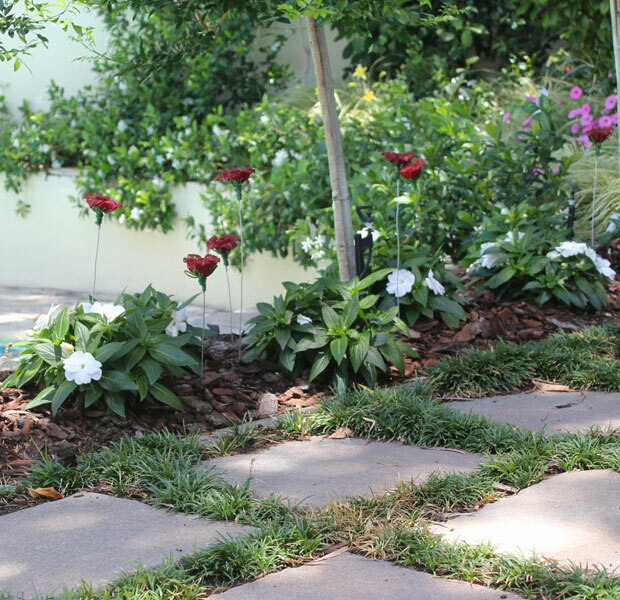 Want the blooms in a bunch or spread out? Rosa hybrid “Beaded” will happily oblige! You could even bring it indoors and place it in the vase and return it to the garden when you please. 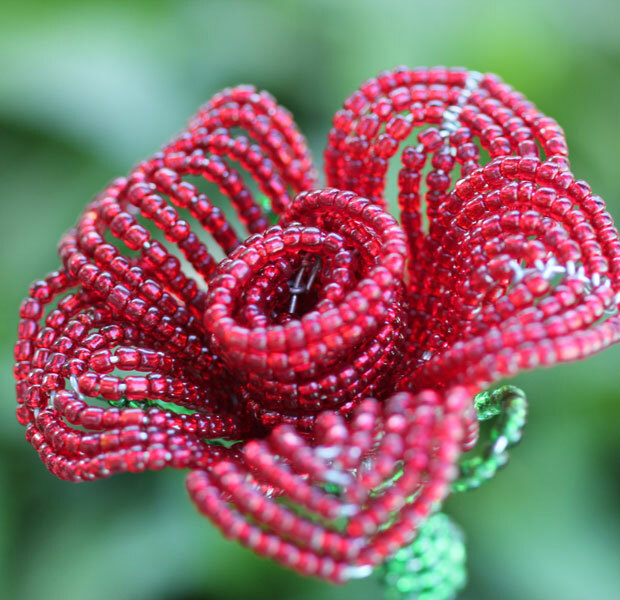 These cute hand-beaded roses were loving created by rural women with no other form of income. Add a charming salesman and the fact that I’m a sucker for helping people, so it is that I introduced this new rose to my garden in a bed where we wait for plants to fill in. They are pretty, I think. Hand beaded with care, I liked the roses the most. Other “flowers” on offer were Arum Lilies, Agapanthus, Strelizias, Sun flowers … most of which were too gaudy for my taste. 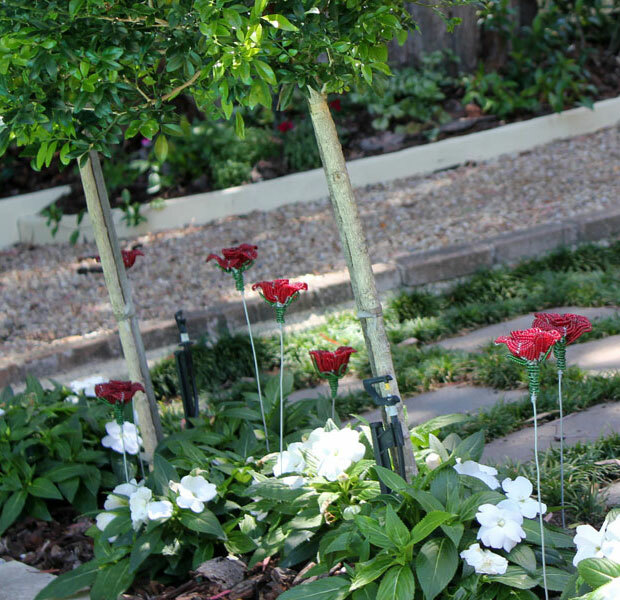 How cute your roses look in your garden. 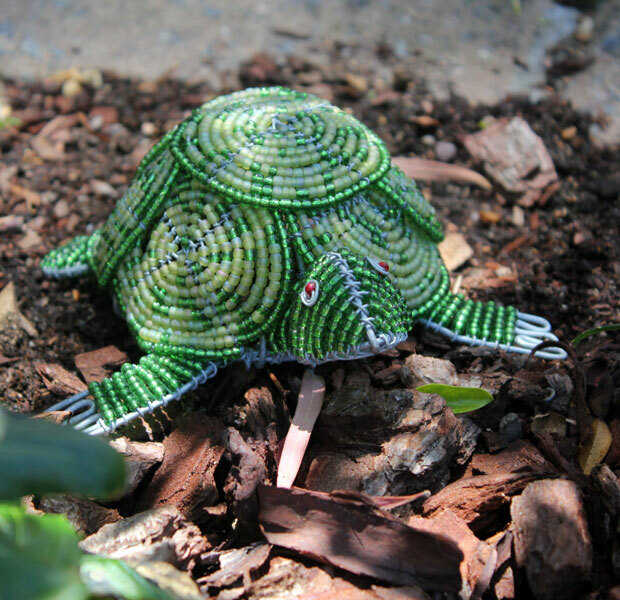 I also love the beadwork these creative women do – I have a few of them in my garden too, do you want to see? ?